We thought we’d have a little fun with this blog post. The beach is a fantastic place to lay out, wade in the water, and take funny photos of funny people. While these photos are not of Myrtle Beach, I wanted to take the time to point out to you things you might see on other beaches. So take a gander and keep in mind if you don’t want to see aging men’s tan lines, you might want to think about a Myrtle Beach vacation rather than any other beach. Beauty and the Beach – Just another day at the beach. Oh wait, gotta go home and put on my pants suit. Headless Sunbather – This is one that can be recreated with your friends. I especially like this one because the sand sculptors did a fantastic job with the headless part. You can’t even see a trace of her head! 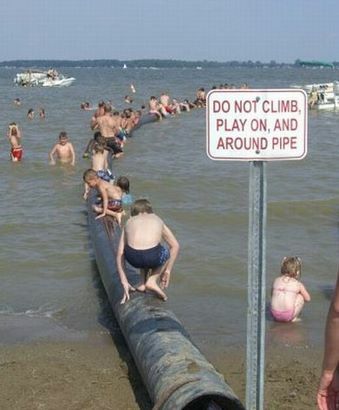 Child’s Play– I don’t know whether this is failure in parenting, or public school reading comprehension, but somewhere along the lines these little guys forgot to pay attention. 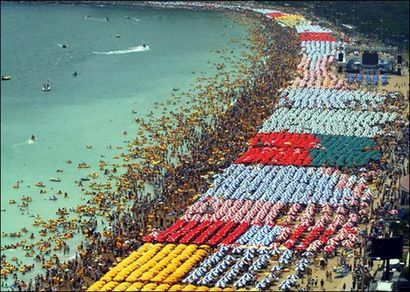 By the way, how could this possibly be the funnest thing to do at the beach? Photo Op Time! Ladies love the Chimps, and apparently Chimps love the ladies. Okay, we have to find this beach. If a chimp can land women like that, I might just stand a chance! 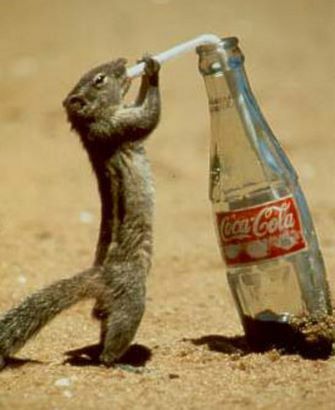 Coke Ran Out of Polar Bears – Remember to always stay hydrated on the beach! This little guy’s got the right idea. 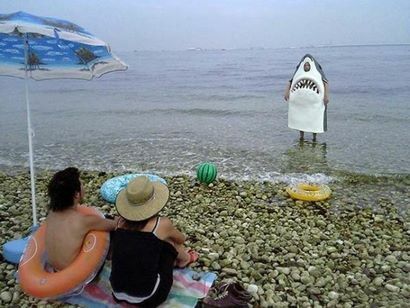 Shark Attack! 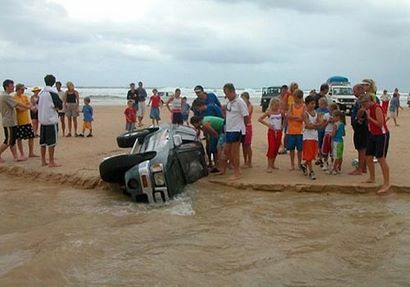 Or… wait… at least he can’t come on shore…. Cue BayWatch Theme Music – With that cliff in the background, I’m pretty sure this is in or along the west coast somewhere. Duly noted. No Escape from Fun in the Sun! – This is where the kiddies go for “yard time”. It Could Be Worse! – I don’t want to hear about Myrtle Beach being crowded ever again. You could be here! Although it is colorful from above….. 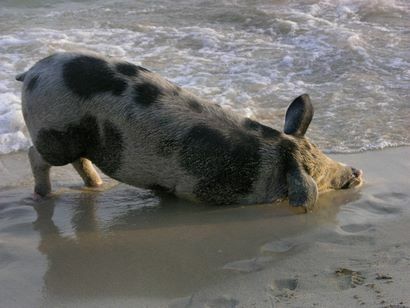 Yes, A Pig At the Beach – Hey, the sign said no DOGS allowed. It didn’t say anything about swine! 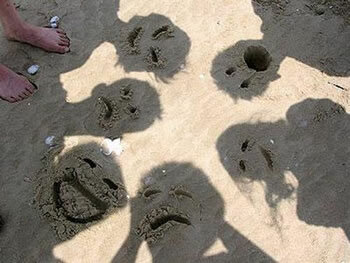 Expressions in the Sand – Some build sand castles. Others…. well, do this. Don’t Make Me! I may be a lab, but that doesn’t mean I AUTOMATICALLY like water! “MOM! 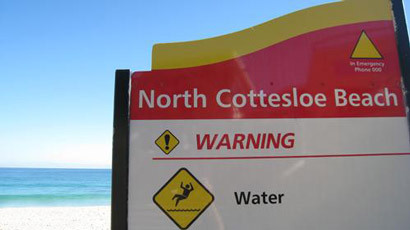 You didn’t tell me there’d be WATER at the beach!” – Heed the warning, water may appear at the beach from time to time. Thanks for looking! We hope you enjoyed them. This post was brought to you by CondoLux, a Myrtle Beach vacation rentals company with oceanfront condo rentals, beach homes, golf packages and real estate sales. Find CondoLux on Facebook for specials and deals on Myrtle Beach and North Myrtle Beach accommodations. That puppy is so cute! But I gotta go with the “shark” photo. So random! These are great! 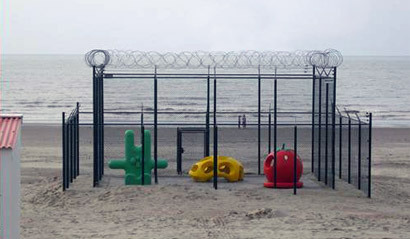 I really like the beach jail one! 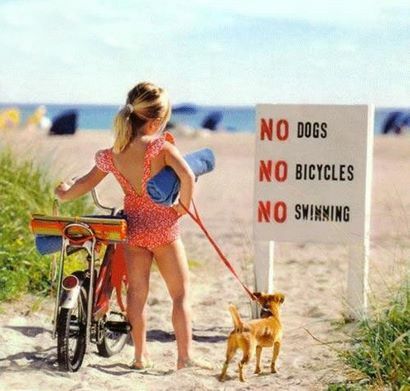 Great funny beach photos here. Thanks for posting. It’s nice to see the fun side of a vacation rental company! Oh these are great! Found it on Pinterest! This gave me a laugh. I love it! The headless sunbather is hilarious !